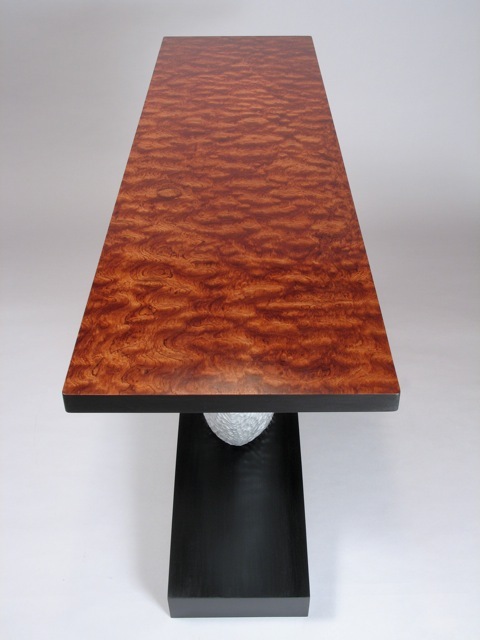 Carved and painted poplar base, quilted bubinga top with hand rubbed poly-varnish finish. 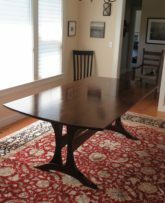 I designed and built this piece for an interior design firm in St. Louis, for one of their clients in Southern California. 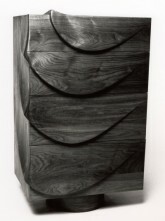 This piece can be made in other colors and other woods for the top. 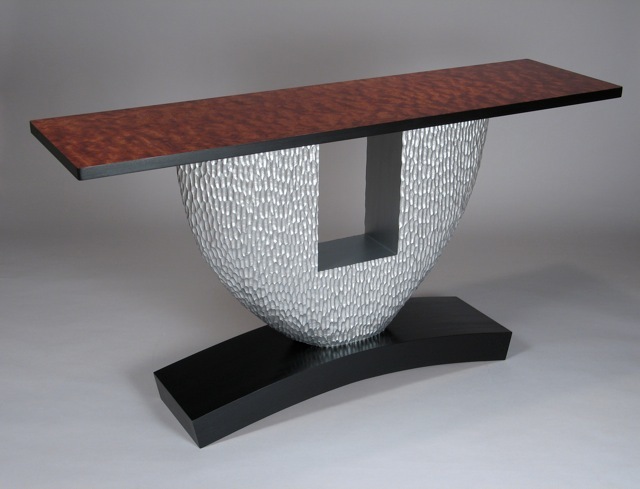 I also offer color matching, if you are working with a specific color swatch for your interior. 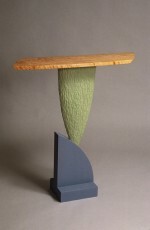 This piece was featured on the show poster for a major exhibition at the Bennington Museum, in Bennington, Vermont in 2010, titled “State of Craft”. 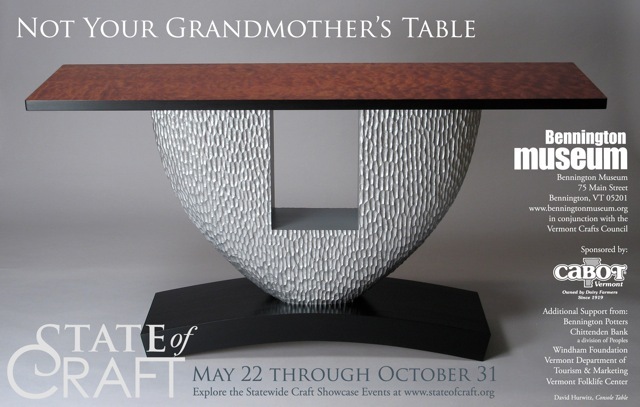 The show featured work by 86 master craft artists from Vermont, to highlight the history of the contemporary studio crafts movement in Vermont (1960-present) and to celebrate the legacy of craft production in the Green Mountain State. 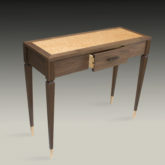 To see my full portfolio of console and hall tables, please visit the “Console and Hall Tables” section of my website. Copyright 1999, David Hurwitz. All rights reserved.